The Alameda Islanders 2004 Red Team girls achieved 1st place in the Davis Legacy Lily Nisen Memorial Tournament. The Islanders conceded only 1 goal the whole tournament. The first game was tied 1-1 against the host Davis Legacy team. The second game was a 1-0 win against Natomas F.A. 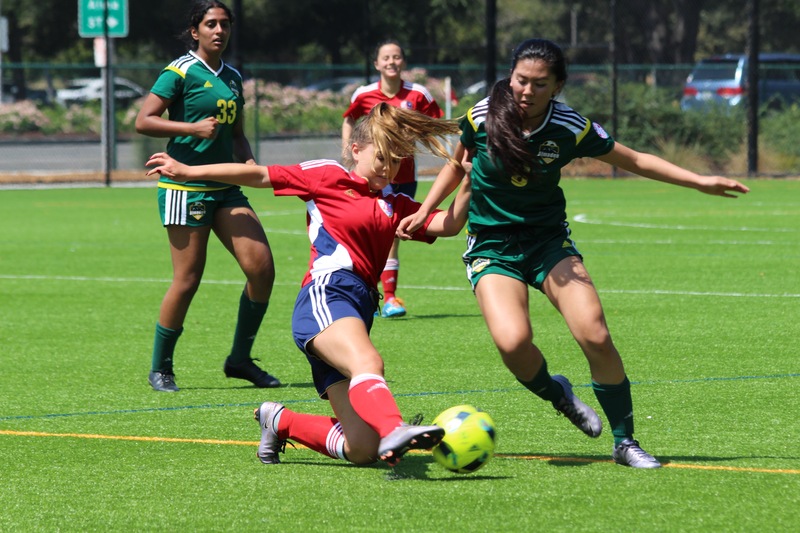 On Sunday morning, the Islanders needed to better Davis’ 5-0 win from Saturday against Sacramento Soccer Alliance to reach the final, they did so with a 9-0 win against SSA. The final was against Mt. 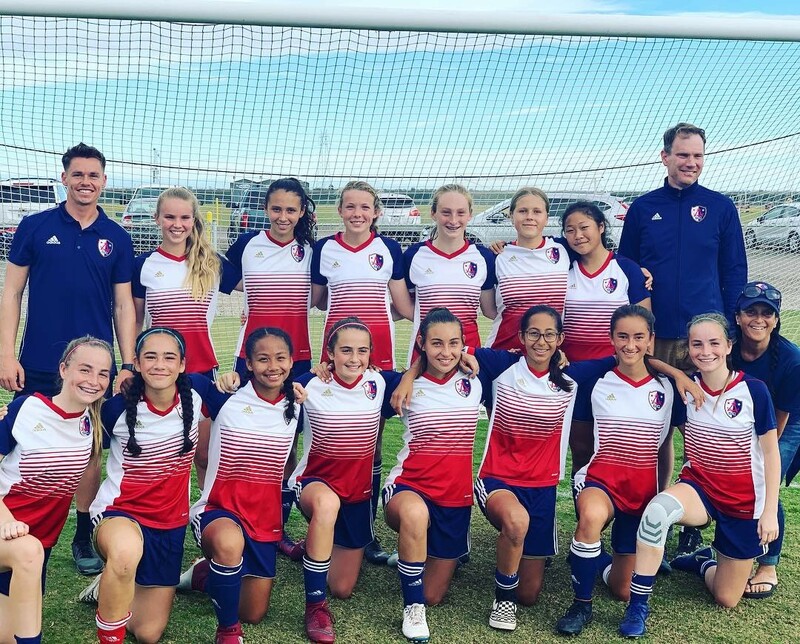 Diablo Soccer, the Islanders took the lead early with goal straight from kick off and went on to in 3-0 to win their first tournament at gold level. This weekend we played in the Stanford Summer Classic D1 tournament competing with teams from both premier and gold levels. For the second year in a row we played a tournament just before the season starts and straight after our team camp to prepare for the fall league. I like to treat it as a pre-season, understand our strengths and weaknesses so we are fully ready for the first game of the fall season. This season was different, after the work the girls have put in throughout the summer through various camps and the team camps the girls were more than ready for the challenge awaiting. 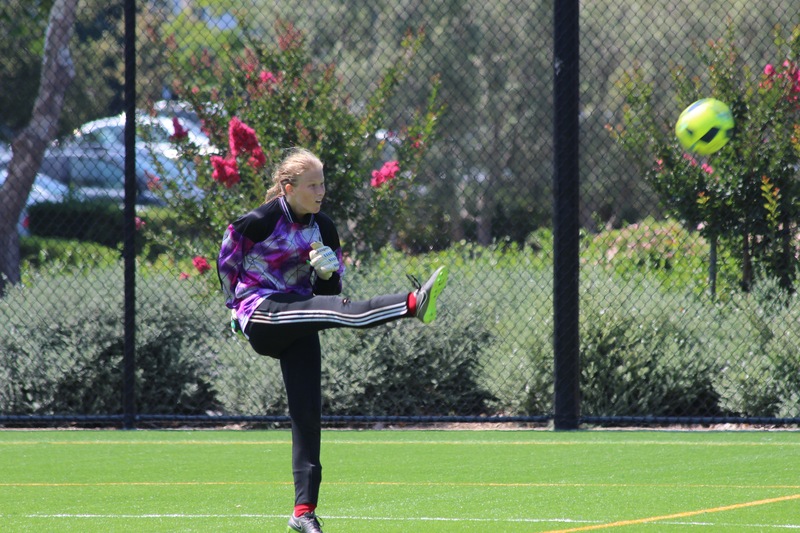 The first game on Saturday was against Almaden FC Quicksilver, a team we will face in the fall gold league. Our performance in this game was incredible, taking a 2-0 win with goals from midfielders Zoe Peterson and Sydney Owyang. The first half performance was up there with the best I have ever seen from this talented group of girls, the second half the attacking play dropped a little but the defence remained solid throughout with the defensive trio of Julia Kennedy, Alina Soto and new islander Elle Kallsen getting the girls of the game (GOG). The second game was a very hard fought game against SACYSL California Northstars, another team we will face in the fall league. 0-0 throughout with both defenses standing firm not giving away many chances until the last minute of the game, 3 players Elle Kallsen, Sydney Owyang and Molly Cha able determined to find that last bit of energy after 119 minutes of soccer to win the ball, beat a player, find a killer pass and finish a high pressure chance to win the game 1-0. The girls of the game, once again Elle Kallsen for winning every single challenge against some dangerous wingers and Molly Cha for being everywhere she needed to be on the field, running at players with the ball, winning every 50/50 and most importantly scoring the game winning goal. 2 wins out of 2 going into Sunday’s game. Game 3 on Sunday was against Alternativo Futbol. This was the most physical game of the weekend with 3 players from the opposition getting yellow cards for a numerous badly-timed tackles. The Islanders stepped up their game, competed physically and technically to take a 3-1 win with goals from Olivia Sprouse, Alina Soto and Leah Rice. The girls of the game for game 3 were Zoe Peterson who ran the game from the start, linking defense to attack and creating numerous chances throughout the game. Alina Soto was the other girl of the game, a goal scoring centre defender who won every single 50/50 challenge against a very physical team. Alina scored from a corner to make the game 2-1 before leah added the third goal. Julienne Grandy another new islander was the final girl of the game for a physical performance wanting to win every challenge and being a machine in the midfield. 3 wins from 3, into the final. 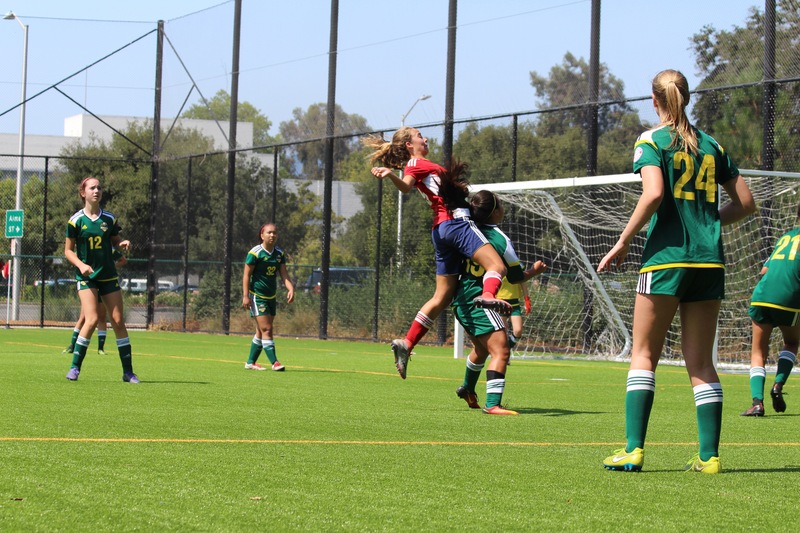 The final was against SACYSL California Northstars who beat FC13 3-0 to get to the final, not an easy task! FC13 took the lead from a corner in the first couple of minutes. The Islanders equalized through a determined run and calm finish from Leah Rice. Both teams had chances before Northstars took the lead and went on to win the game 3-1 with a last minute goal. The GOGs in this game were Alina and Zoe with Zoe also getting the girl of the tournament for her performances throughout the weekend. This tournament was chosen as a pre season tournament, to get the girls warmed up for the season, to find our weaknesses. This turned out to be a great weekend with some performances which will remain long in the memory for a lot of players, coaches and parents. Alameda Islanders 2001 girls are a special group of girls, they set targets high and surpass them, this tournament was a sign of things to come and we expect to have a successful season playing against some top quality opposition.